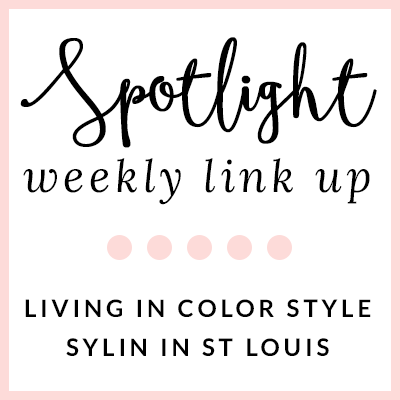 Stylin in St. Louis: Spotlight of the Week: Monochromatic…. 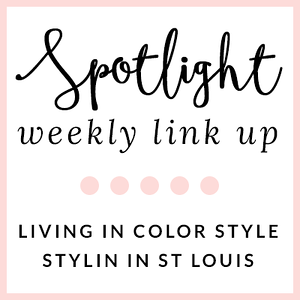 Spotlight of the Week: Monochromatic…. Happy October! How did it get to be October? Time sure is flying this year! Hard to believe that fall break starts next Friday! 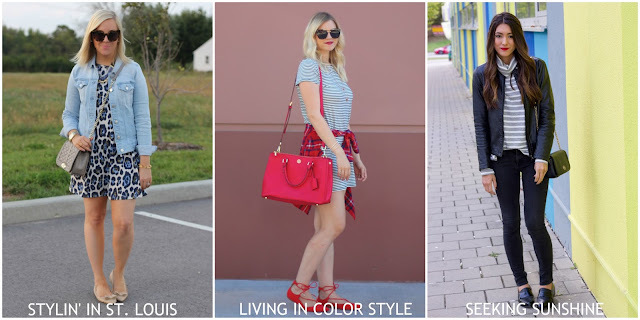 This week Elle an I are styling monochromatic looks! What is you favorite color to wear together? 1. 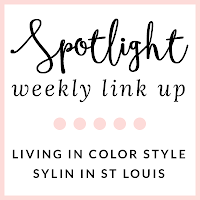 We kindly ask that you follow the two hosts: Elle from Living in Color Style, Jacqueline from Stylin' In St. Louis, and our co-host Annessa of Seeking Sunshine via Bloglovin or GFC. 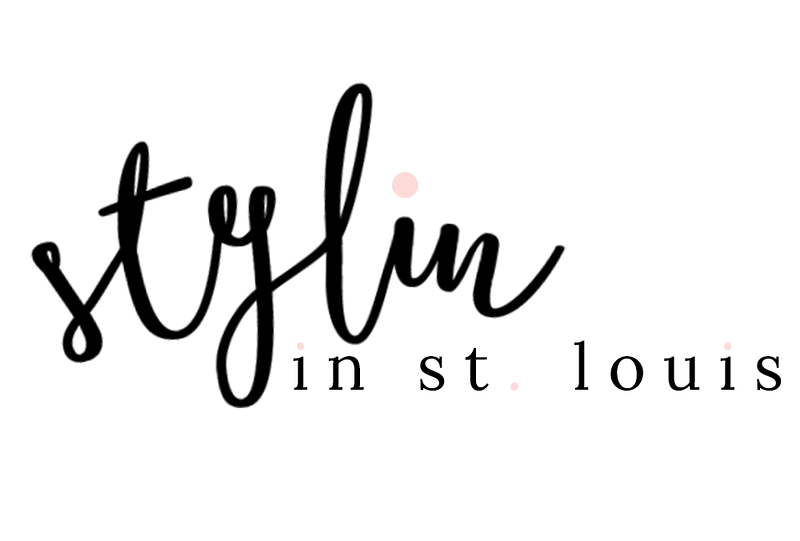 Spotlight: Our spotlight this week is Courtney of The Dainty Darling! We just love Courtney's neutral look! 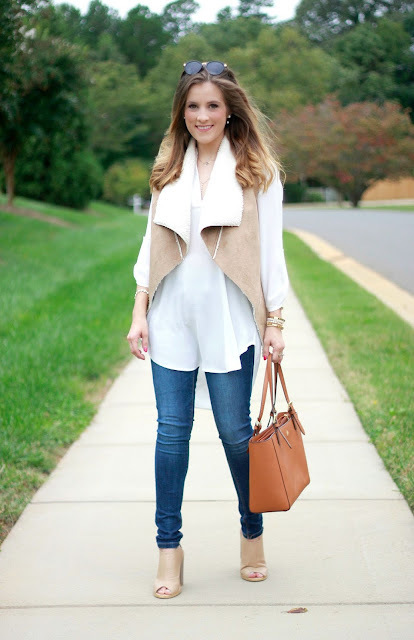 That vest is amazing staple to have this fall! It looks fabulous with her neutral accessories! Be sure to check out her blog! Next week: Next week our spotlight weekly theme is prints and patterns! Thanks for linking up! See you next week! I always love it when you wear that dress, so cute. This leopard dress is super cute, you look so pretty in this outfit! I cannot even tell you how CUTE this outfit is on you! You look adorable as can be!! Such a great print!! That leopard dress is so cute and with the light denim jacket, the gray looks monochromatic. A leopard dress (in muted or neutral colors) is just as versatile as a striped dress I think. I also love Elle's monochromatic dress which she used big splashes of pink for. Her laceup flats and her bag are so cute! That leopard dress is adorable! This is such a cute look! That leopard print is so pretty in blue and especially with the blue denim jacket. I can't believe its October, where did September go?! I love that dress and how you paired it with that jacket and purse. It all blends so nicely! I love a monochrome look. Your jacket is so good with that fun dress. 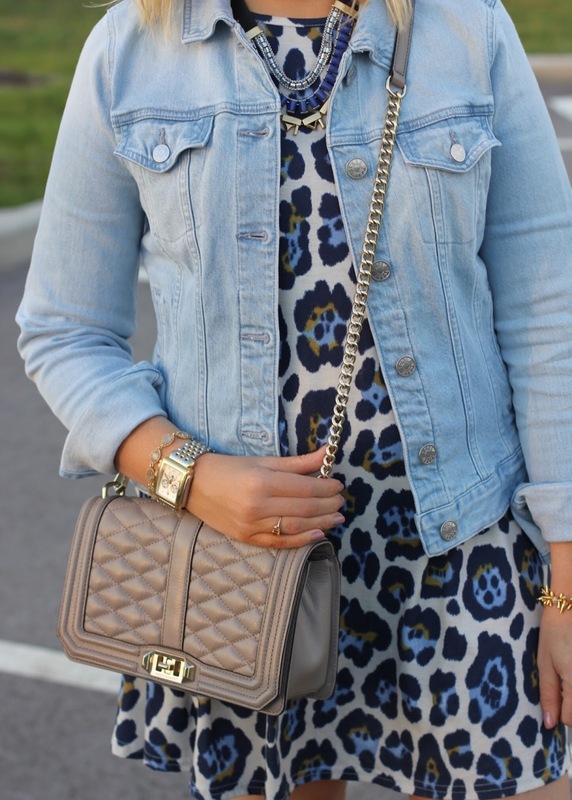 You look so adorable in this ensemble - a denim jacket is truly the best transition piece! This is such a nice dress!I love its print and colors. It looks perfect with the denim jacket. You look very pretty! Have a great day! I love this light denim jacket over the top- very cool look, lady! Loving this dress on you! Perfect monochromatic look! 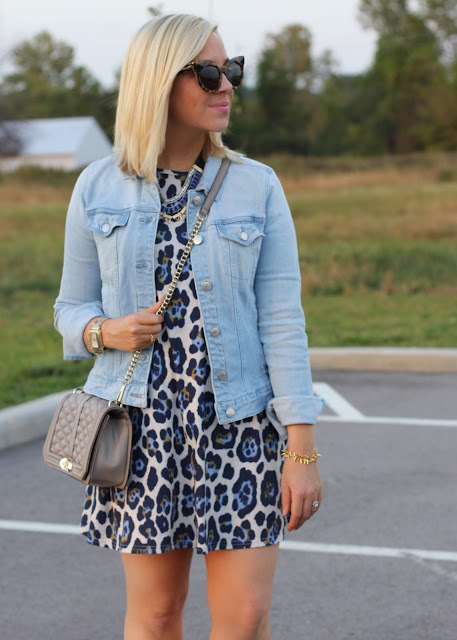 I love this leopard dress with the light denim. I love the light blues you have going on. A dress with a jean jacket is always a winning look. Perfect for early Fall. Awesome look! Love your dress! Pretty blues! 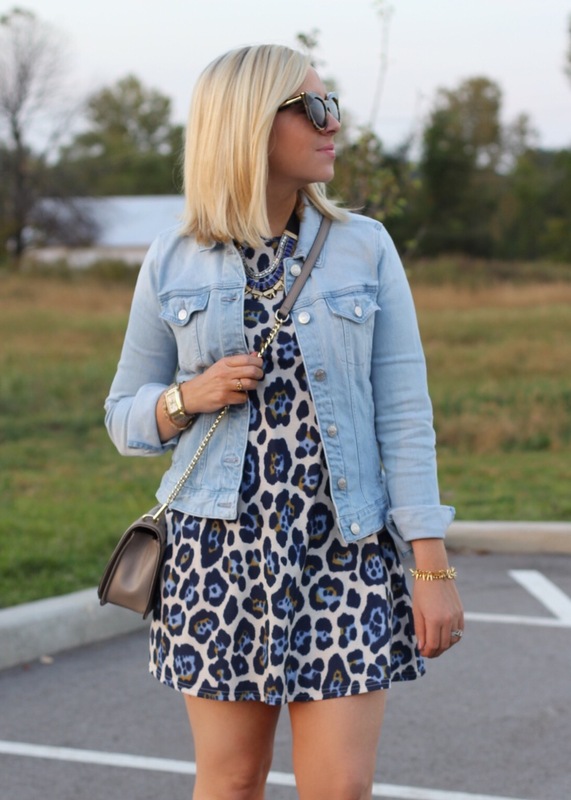 The dress looks great paired with the light denim jacket-- cute! This dress is truly adorable! awesome cheetah print dress! cute look! Beautiful outfits!! Love these projects!! Your jacket is so good with that fun dress. I can't believe it's already October either! This year has gone by so fast! I love your cute dress! Gorgeous printed dress, love the muted neutral accessories and shoes to accentuate the look. Hope you have a wonderful week ahead.